This unusual plant has been a favorite for years. Small “spiders” dangle from graceful offshoots of the parent plant making an attention getting specimen. The baby plants can be clipped off and potted up , or just stuck into water, where they root quite easily. They make great additions to water gardens and fountains. In good light small white flowers are produced occasionally. These plants are very tough and forgiving. 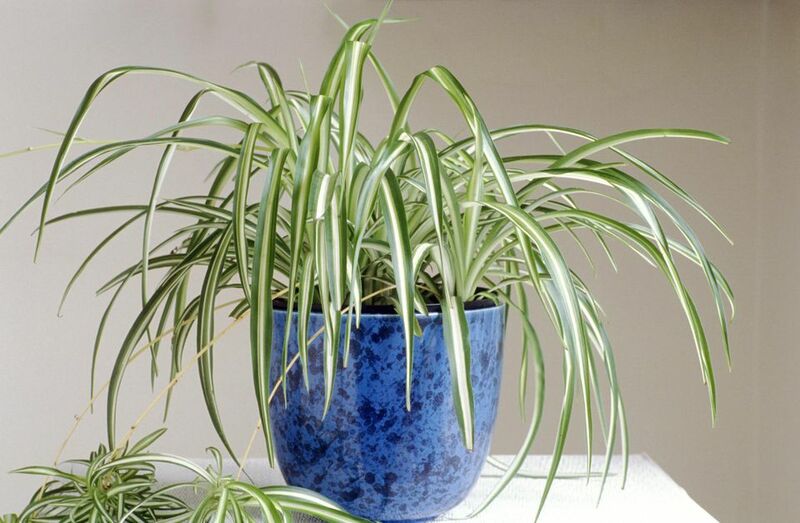 Commonly available in green and variegated forms.